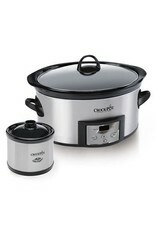 Set to cook anywhere between 30 minutes and 20 hours on HIGH or LOW temperature setting. 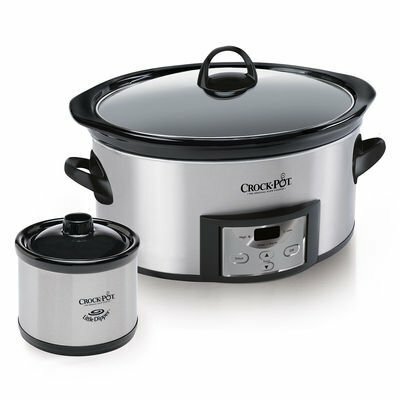 When time is up the slow cooker automatically shifts to the WARM setting and the timer begins to count up the time it has been operating on WARM (up to 6 hours). With BONUS 16-ounce Little Dipper which is ideal for small quantities.